Congratulations to our students that MATCHED into residencies this year! 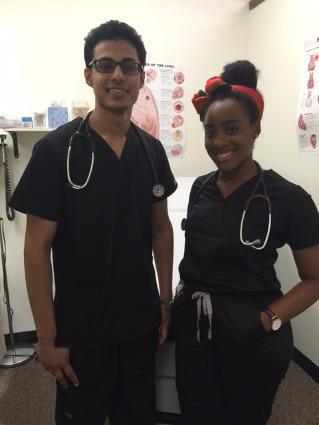 Here are some of our Boards Ready students in their clinical training portion of their Boards Ready semester! "I Have Absolutely No Regrets"
"Without reservation, I am recommending Boards Ready and Dr. Tricia Derges' Boards Ready Program. The classroom setting is professional and will prepare you for step 1-2 with the highest yield board information available in the industry. 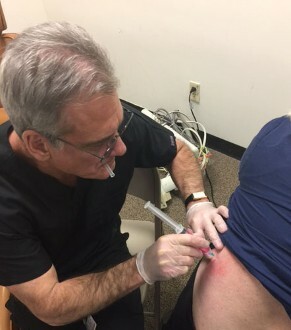 Clinical experiences with Dr. Derges are rewarding and educational. Dr Derges is an excellent diagnostician and a compassionate physician who will spend time with her patients and students. 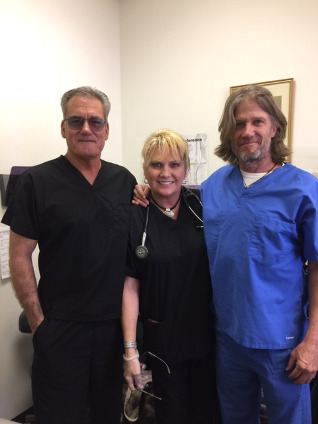 You will leave each clinical mission experience with a warmness in your heart knowing not only have you learned from Dr Derges but you have helped another person in need of care and compassion. I can confidently say that there is no other program as inclusive of necessary information, classroom discussion and lectures, integration of materials and clinical experiences as Boards Ready!" Passed my exams WELL above JUST PASSING! "I loved this method of learning! I am an older student with not the greatest of test taking skills but have a great work ethic. Dr. Derges' unique method of breaking the question stems down and correlating everything, passing was no longer a chance but instead a given. I benefited tremendously from her teaching style, compassion, testimony, and dedicaion to each student. I successfully passed all my exams, Step 1 and 2, well above JUST PASSING! Dr. Derges will make YOU just as successful, there is just NO better exam preparation than this!" And as an update in July 2016: I Matched and am in my surgery residency! "This Program Prepared Me 100% For My Exam! "I learned how to identify and strengthen my weaknesses and to reinforce and build on my strengths. In only 14 short weeks I saw a drastic improvement in my performance, understanding and ability to connect every critical concept required for my Step 1. And trust me, if you are not able to connect all of your pharmacology, pathology and physiology together in a clinical method, you will never pass this exam and you will do poorly in clinical rotations! I could not be more happy! There is simply no other review course like this, not even close!" "You Couldn't Ask For More"
"I don't even know where to start! 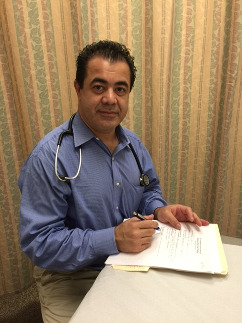 I have never had anyone in my medical path to do more to personally help me than Dr. Derges! This woman cares! She was on top of me everyday working to be sure to break the bad habits I had that would have ultimately caused me to fail my exam! All I can really say is that it is a BIG mistake to not take this course! Most of my classmates took the other review programs because they were well known and only 6 weeks long. They didn't like the idea of a 14 week course, even if the whole semester at Boards Ready was cheaper than the 6 week courses. Sadly, except for 1 person, everyone from my class is still months away from taking their exam while I am done with mine and VERY happy!" "Perfect Program and Perfect Location"
"If someone offered to let me take all the other review programs for free, I would still choose to take and pay for Boards Ready. The name says exactly what it does! If you do 100% of everything, everyday that Dr. Derges tells you to do, you will be ready to take your boards in 14 weeks! It is a tough course! I was ready to die by the 2nd week but then it all started to come together and make sense. For the first time I actually saw and understood medicine! And you can't slip by, Dr. Derges will know! She (not a tutor) gets to know you individually and works with you to strengthen your weaknesses. I loved her medical clinic! I got to train with her patients. If working with a real patient doesn't wake you up, nothing will! It was awesome. Loved my apartment! It was only a block from class and Springfield turned out to be the perfect place to study. It had everything I needed and lots to do when I took a break! I would hate to even think about even trying to do this kind of study in a huge town with all the noise and traffic! No thanks! So I would have to describe my entire experience as perfect!" "I Have Nothing But Words of Thanks"
"I took 2 other popular review courses and was nowhere close to being ready to take Step 1. After a year and losing a ton of money I was still sitting home trying to study on my own.....bad mistake! I was getting nowhere! I heard about Boards Ready through a friend from my school. I figured it would be the same as all the other courses but I took it anyway because I knew I was never going to make it studying on my own. I was so wrong! Dr. Derges taught Step 1 dead on! She connected everything I had to know and prepared me mentally which turned out to be so critical! I would have never learned this critical aspect if I had not come to Boards Ready. I am thrilled with my Step 1 score! 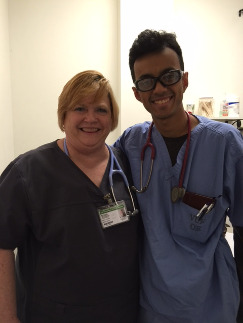 No doubt, this was definitely one of the most important and valuable 14 weeks of my entire medical training!" "Dr. Derges gives new meaning to the phrase "High Yield"
"If you want to know exactly what is on this exam then take this course! You will learn to correlate every drug to every pathology. This has helped me to be right on target in my clinical rotations! Dr. Derges will teach you every possible way they can ask you the same question and every possible term they can use to mean the same thing. I found the mental training was one of the most critical parts to my success on this exam! I had no idea that the mental aspects Step 1 tested were such a huge part of the exam, I thought this exam was just about your knowledge! The best thing I can recommend for your future is to take this class!"